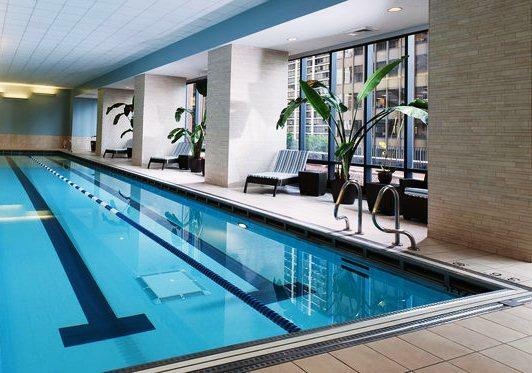 Located on the top floor of the Radisson Blu Aqua hotel parking facility, the rooftop pool and 80,000 square foot life style garden offers views of the Lakeshore East park. The pool and lifestyle garden feature a 1/5 mile running track, dedicated yoga space, 25-yard lap pool, sundeck, fire pits, cabanas, wading pool and a hot tub. The pool is seasonal.